1 x 135AH starting battery. 2 x 180AH domestic batteries ( all one year old ). Webasto AT3500D, 3500w cabin heater with thermostat. Selden spars, solid strut boom vang, furlex foresail reefing system. All rigging lines lead back to aft cockpit. Skeg mounted rudder with two steering positions. Anti-fouled, polished and new anodes fitted winter 2016/2017. Dinning table converts to a double berth. New water system, water heated by 240v immersion heater and engine calorifier. Fitted duvets and covers in forward cabin. Raymarine RC320 chartplotter, Radar scanner, Sea - Pro electronic navigation system via laptop and interface with screen, Nasa SX35 Navtex, Windex. This is a fine example of the Nauticat 331, she is ashore now for the winter. This boat has so much unexpected space with plenty of room for cruising with overnight stays with privacy for friends or family with two cabins each with their own head plus an additional large double berth in the saloon. Ideal for short-handed sailing, with in mast furling and a furling head sail. Subtle changes from its predecessor the 33 such as the fixed seating in the outside cockpit are noticeable, with helm positioning above and below affording protection from adverse weather when required and great visibility all-round. 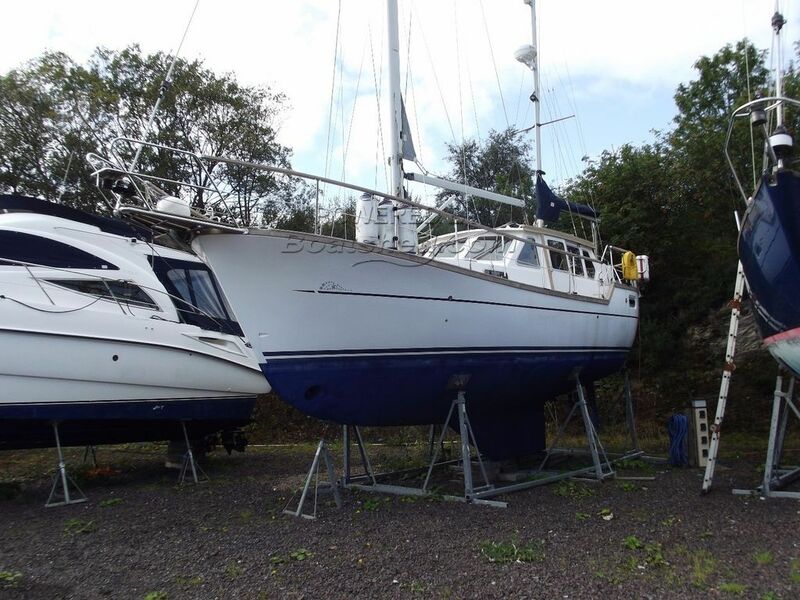 This Nauticat 331 has been personally photographed and viewed by Ian Sawkins of Boatshed Scotland. Click here for contact details.